I really should be Christmas shopping but who can resist a peek at the M&S clothing when there is a discount code around! I thought I'd start with a look at party wear as it's not something I like to spend a lot on as I never get my moneys worth out of it! 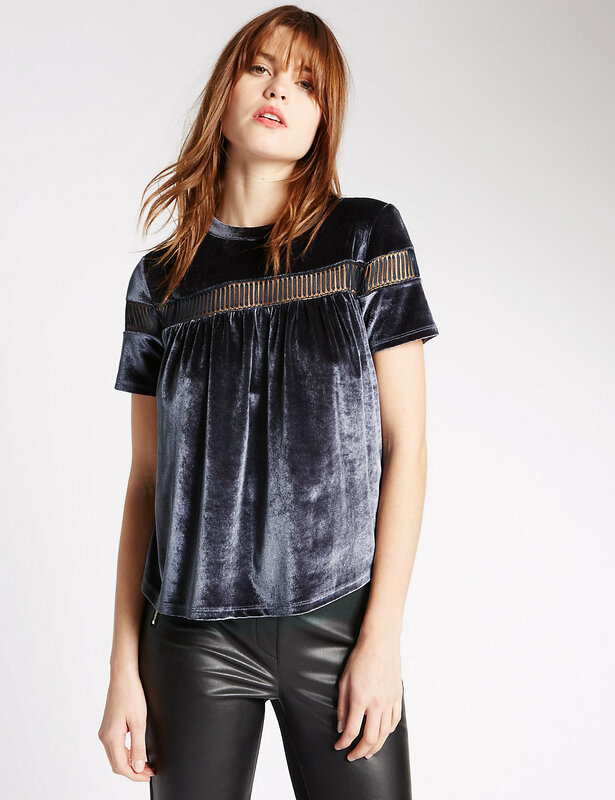 As velvet is a big trend this season and I love the way this is styled here....this has gone straight in the virtual basket! 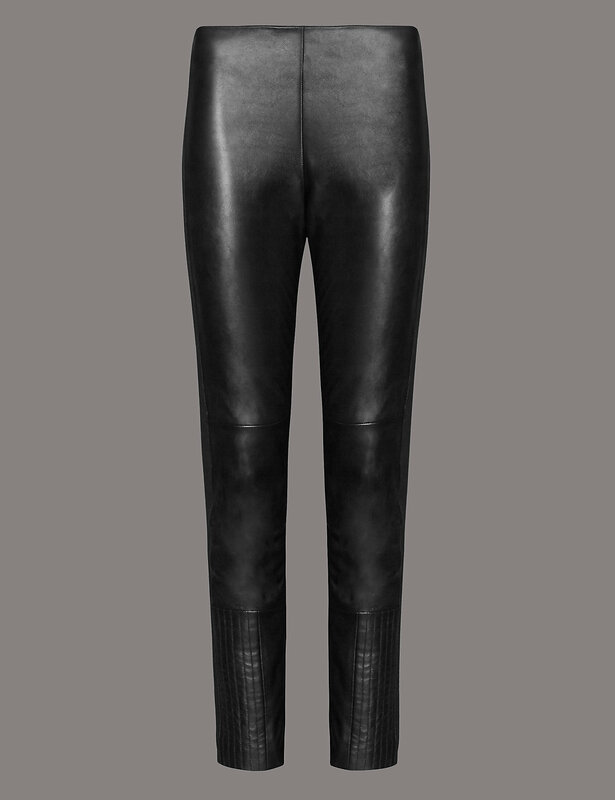 What better excuse to buy the leather ponte trouser than with a code floating around! I do prefer to buy separates when it comes to evening stuff....I'm all for maximum usage and endless possibilities, so I want to buy pieces that work for both day and evening. 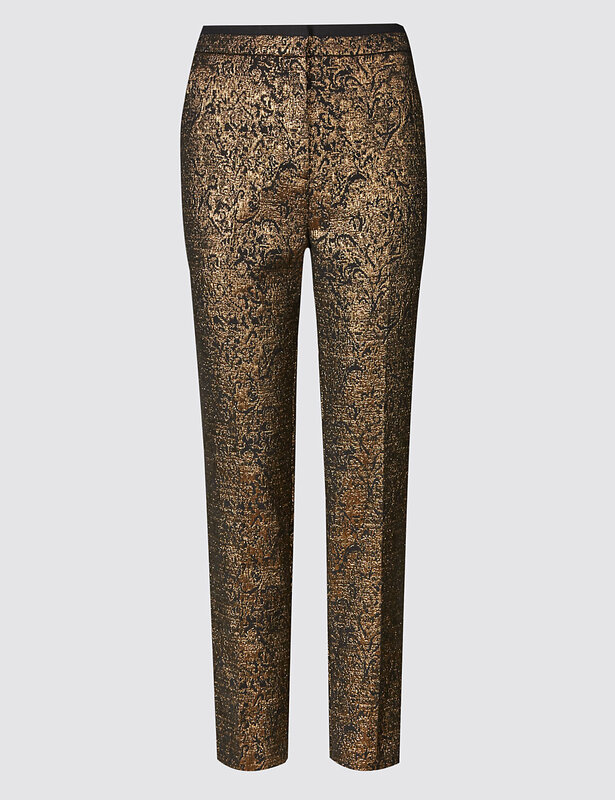 Love these jacquard print trousers and they would look brilliant with a black roll neck and these trainers for day but swap to a black blouse and some heels for evening! Going dressy now! If I had a proper party to go.....well, this would have my name all over it! 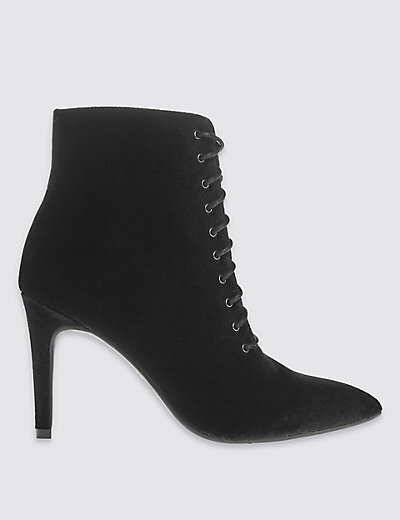 What footwear would I pair with this fabulous dress.....it would have to be these amazing boots! Would somebody please invite me to a swish party so I can buy this outfit!! I can dream on so I may as well go the whole hog and look at accessories! 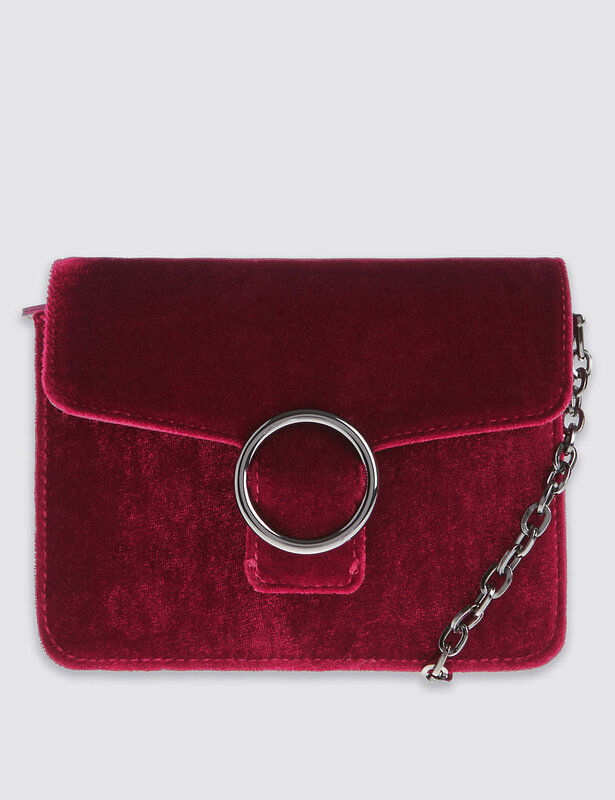 Another little nod to the velvet trend....this beautiful red bag would bring a much needed bit of colour to some of my evening looks. And since we are at it I might as well dream about the coat I would wear over this! I've got well and truly sidetracked! Time to snap back to reality and share the everyday stuff that has actually made it into my basket. I've been using this stuff for a while now and I can honestly say I wouldn't want to be without it. 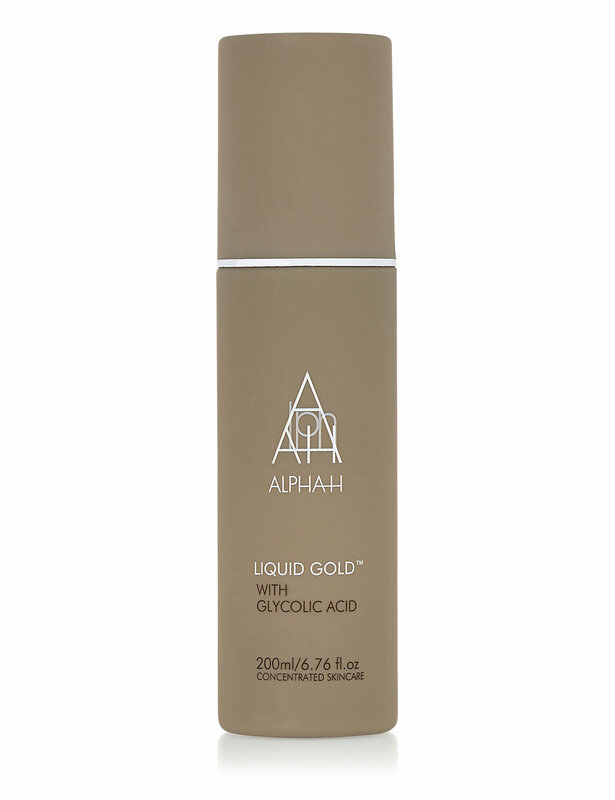 I'm not really into expensive skincare but this is the exception, I can't recommend it highly enough and if you need a skincare specialist's endorsement just hop on over to Caroline Hiron's blog. For my locks I can't live without this. Last but not least....a total luxury, let's just call this an early Christmas present to myself! I'd better wrap up here....before I blow my entire salary, resulting in no one getting any Christmas presents! A little catch-up of my work outfits this week. So what have you got your eye on in M&S? That all-important code is this WT6F35. 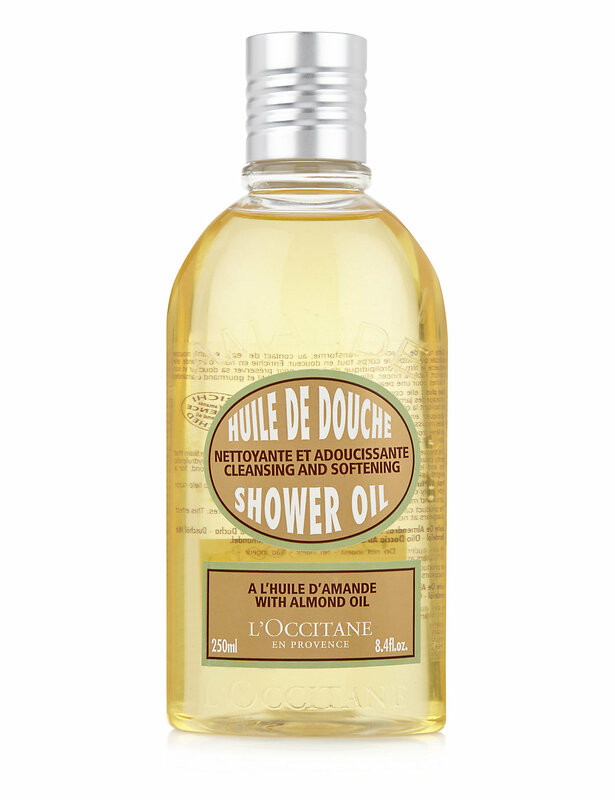 Be quick though....some of this stuff is flying off the shelves! time to bag those bargains! cardigans are the new sweaters! wardrobe foundations = great basic's! christmas gift guide ~ my style!